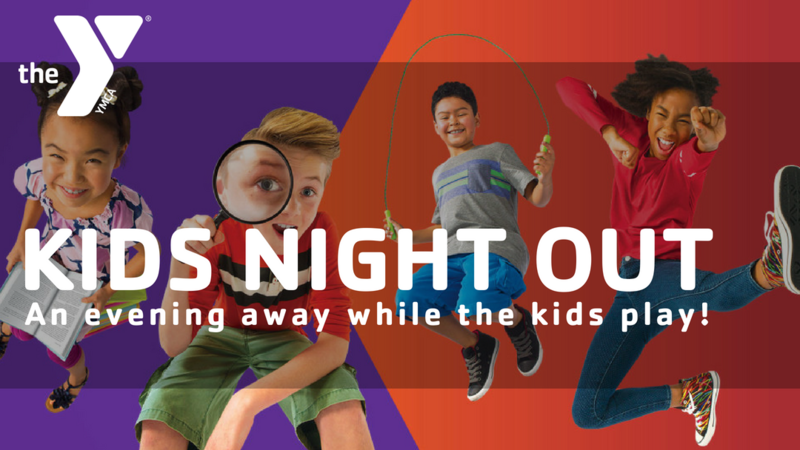 Join us for Kids Night Out, where your kids enjoy a night of fun, while adults enjoy an evening out. Family time at the Y is about giving families the opportunities to deepen relationships, develop new skills and interests, improve their health and well-being, and connect to the community. At the Y, we know parents need a break from time to time. With Kids Night Out events, parents can have a night out while kids have fun. Many fun and exciting events to keep your child happy at the Y. This program is a great opportunity for parents to have a night out to see a movie, catch up with friends or have dinner out, while your children have fun in a familiar environment. Kids’ Night Out is an opportunity for parents to spend quality time together while children enjoy an assortment of fun events at the YMCA. Supervised by our very own Afterschool staff, your child will enjoy swimming, movies and activities. Dinner will be served. Let the YMCA be your babysitter so you can have a parent’s night out! Registration opens 1 month prior to camp day. Deadline to register is the Thursday before KNO. We are done for the Summer! KNO to begin in the Fall. It is the YMCA policy that no one be turned away due to an inability to pay. Financial assistance is available.